Electronic oscillators, with sine and square waves generation capabilities. The CLAEM's lab was renewed in 1966, following a project by its new technical director, Fernando von Reichenbach. Touch-controlled patch-bay designed by Fernando von Reichenbach, built with spare parts from the telephone company. Touch-controlled patch-bay (detail) designed by Fernando von Reichenbach, built with spare parts from the telephone company. In 1942, Juan Blanco registered the description and design of a new musical instrument at the Patent and Trademark Office in Cuba. He called his creation the "Multiórgano" (Multiorgan), and it was based on 12 magnetophonic wire loops (recording on magnetic tape was under development!) running through a playback head. A polyphonic instrument, the Multiorgan could be loaded with 12 chromatically recorded voices, musical instruments or other sounds, including any multitimbral combinations and limited only by the allowed number of loops. Each sound signal would be controlled by a keyboard to switch its flow to the amplifier. One pedal changed the sound’s amplitude, another modified its frequency/duration, and varying loop speeds were also considered. The Multiorgan concept predated the Mellotron by several years, but the original instrument invented by Blanco was never built. In 1991, during the Musical Inventions and Creations: Denial of Utopia International Symposium held in Bourges, France, Blanco presented a blueprint of the original design. An engineer interested both in electronics and music, Raúl Pavón (b. Mexico City, 1930) began to promote the use of electronic musical instruments in Mexico years before the first studio was built there in 1970. 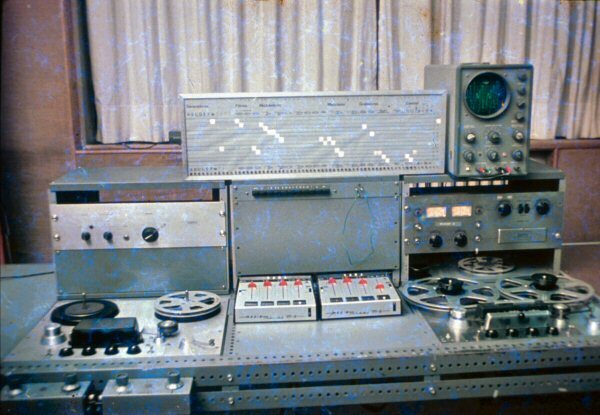 In 1958, he built the prototype of a loop-based musical instrument using magnetic tape recordings without knowing this principle was already in use. Then, in 1960, he built a small electronic musical instrument that featured an oscillator with multiple waveform outputs, a variety of filters, an envelope generator, a white noise generator and a keyboard, among other materials. Pavón named the instrument the "Omnifón" (meaning: all sounds), and it was among the first electronic sound synthesizers built. Pavón was the technical director of the first Electronic Music Lab in Mexico, created as part of the Composition Workshop at the National Conservatory of Music. 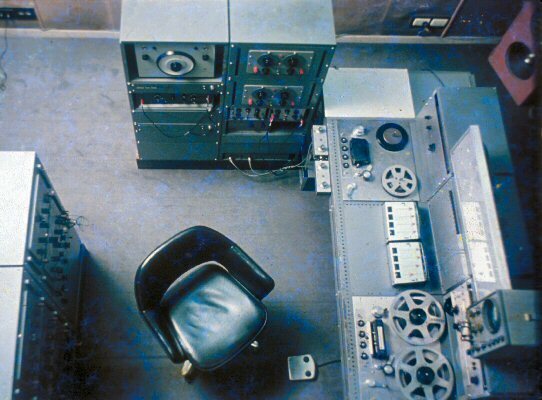 With Héctor Quintanar as its artistic director, the laboratory launched activities in January 1970 with equipment that included Buchla and Moog synthesizers. Years later, Pavón wrote one of the first books in Spanish about electronic music: La Electrónica en la Música... y en el Arte (Electronics in Music…and the Arts), which was published in 1981 by CENIDIM. In the book, he wrote about the acoustics, history, technology and techniques of electroacoustic music as well as about new media arts. Pavón also developed the "Icofón," an oscilloscope-based system that derived images from sounds (working with Lissajous figures). He used this system to create several multimedia works. In Argentina, Fernando von Reichenbach (b. Buenos Aires, 1931) played a major role in technological development during the CLAEM / Di Tella Institute’s days in the mid '60s. He invented the Convertidor Gráfico Analógico (Analog Graphic Converter), or Catalina, used to convert graphic scores from a paper roll into electronic control signals adapted for musical uses with analog instruments, capturing the original drawing images with a camera. The first piece created using the converter was Analogías Paraboloides by Pedro Caryevschi, composed in 1970. During these years, von Reichenbach also created devices such as the keyboard-controlled polyphonic third/octave and octave filter and a special patch-bay that helped solve the complex needs of composers at the lab.